Fast and safe handling of everything to be transported in stacks: sheets and metal blanks - bundled or loosely stacked - narrowly stocked or without pallets! 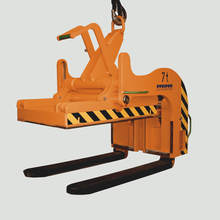 PFEIFER load lifting devices can master this and even more! 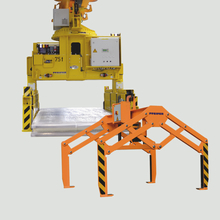 A more of safety and flexibility for stack handling by perfectly designed grab and forklifter variations - planned with experience, welded with quality and above all conveived for hard continuous operation! 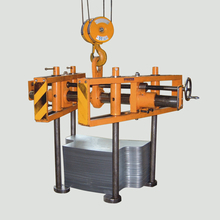 Sheet lifters for the safe and protective transport of tied goods in stacks.